Its model number and name are #028 / Kid Omega. Character Bio - Many teenagers strain under authority figures and attempt to push the limits of the traditional power structure. Of course, when that teenager is an Omega level Mutant telepath, those small rebellions tend not to be so small. 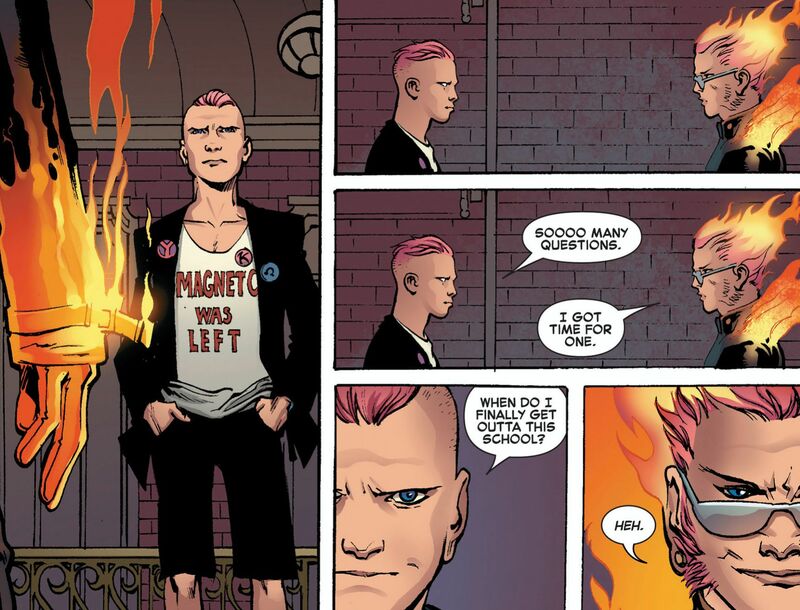 Quentin Quire's first major struggle came at the Xavier Academy. Under the influence of the drug Kick, Quentin and a small group of Mutant students following him -going by the name of the Omega Gang- caused a riot at Xavier's school. Though the riot was quickly stopped, the damage was done and the combination of Quentin's psionic abilities and Kick was slowly killing Quentin. The Mutant healer Xorn exposed Quentin to the miniature star in his head, which appeared to kill Quentin though it was later revealed that he had simply moved to a higher plane of existence. Later, in its search for a host, the Phoenix Force would awaken Quentin and reconstitute his body. Though the Phoenix Force moved on, it was revealed that Quentin would later be a host to Phoenix, keeping it under control more than any previous host except for Jean Grey. After being revived, Quentin first tried to continue his rebellions against the X-Men, but he was defeated. Rather than imprison him, Wolverine made a deal to enroll him in the newly formed Jean Grey Institute for Higher Learning for rehabilitation. Under the close watch of Wolverine, Quentin's rebellious nature was directed in a better way, though he will always remain a troublemaker. As a Mutant, Quentin Quire has these Mutant Synergies. As a Telepath, Quentin Quire has these Telepath Synergies. 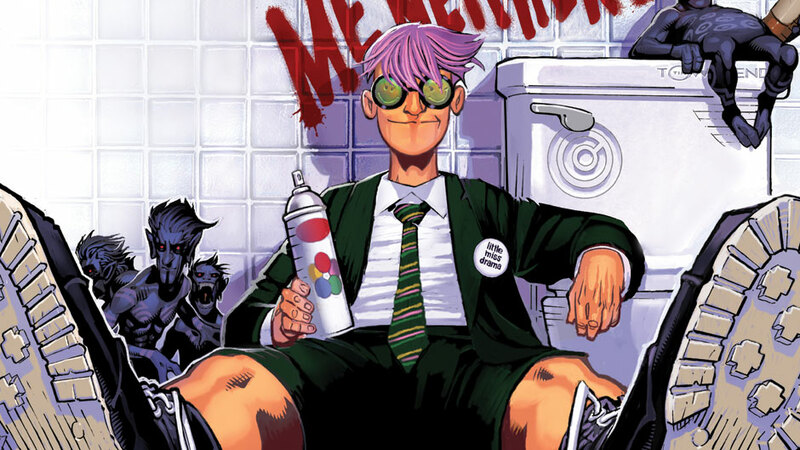 Quentin Quire may potentially take a turn with his Delinquent Mutant Sidekick special power before taking a turn with a Unique Mutant Hero you control. Current Unique Mutant Heroes. As a Telepath, Quentin Quire cannot be affected by aspects of certain special powers: Special Powers that Interact Differently with Telepaths. As a Telepath, Quentin Quire interacts differently with certain special power. Special Powers that Interact Differently with Telepaths. Androids, Constructs, and figures with the Mental Shield special power cannot be affected by Quentin Quire's Psychic Assault special power. Current Androids, Constructs, and figures with the Mental Shield special power. 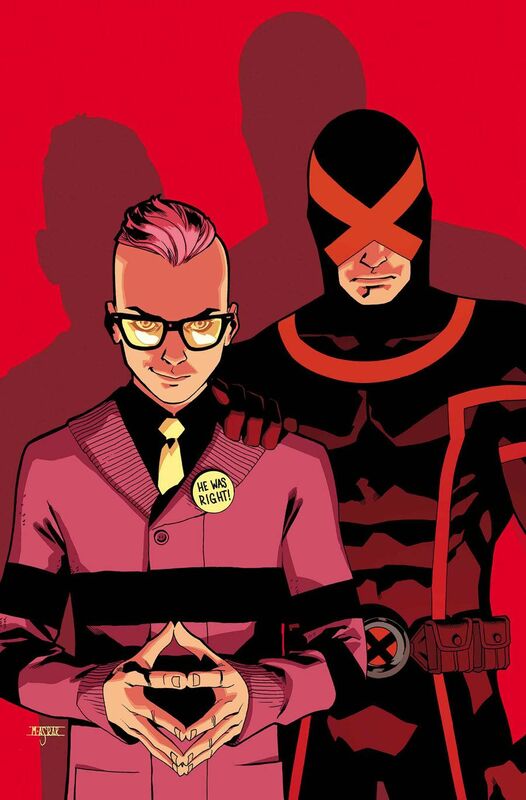 As a Mutant, Quentin Quire interacts differently with certain special powers. Special Powers that Interact Differently with Mutants. Last edited by Ronin; November 12th, 2017 at 11:04 AM. After revealing an Order Marker on the Army Card of any other Unique Mutant Hero you control, you must immediately roll the 20-sided die. If you roll 8 or lower, you may not take any turns with Quentin Quire until the next time you reveal an Order Marker. If you roll 9 or higher, before taking a turn with that Mutant, you must take an immediate turn with Quentin Quire. If Quentin Quire takes a turn with this special power, you may not take any additional turns with other figures you control other than that Mutant. the chosen figure receives one wound. view all unrevealed Order Markers on the chosen figure’s card. remove 1 unrevealed Order Marker from the chosen figure’s card. You may use the chosen effects in any order. Destructible objects, Androids, Constructs, and figures with the Mental Shield special power are not affected by Psychic Assault. Last edited by TrollBrute; September 30th, 2016 at 07:54 PM. Last edited by TrollBrute; September 24th, 2016 at 04:24 PM. Basically, he's a pain-in-the-*** punk with incredible power. He's rebellious and hard to work with, but if you can convince him to help you, his potential is enormous. The goal is to make him hard to play with Mutant leaders, disrupting Xavier or Cyclops bonding, but working well with a single hero. An opponent may never take temporary or permanent control of Quentin Quire or any figure you control that is within 2 spaces of Quentin Quire. That or Mental Shield would be a good fit if we want to add something more. I like him with just two powers - there's a lot going on with both of them, so he's definitely interesting without needing to push in another one. Rebel Mutant Sidekick is cool and fitting. I think it needs a name change, though, if only because it's SO different than Jason Todd's Rebel Vigilante Sidekick (Jason's forces you to take a turn if you fail, Quentin's denies a turn). I'd suggest "Delinquent Mutant Sidekick" - because he's a delinquent by nature, if you roll low he'll be delinquent in his duties, and his name has a "quent" in it. Psychic Assault is a great mechanic - it scales super well, particularly the "view Order Markers" and "remove Order Markers" power, which are decent alone and powerful together. I'm surprised we've never done something like it before; it feels like such a natural evolution of the "bullet point choice" style. I think the die rolls could use fiddling with (my gut says to narrow the "pick two" roll a bit), but that's an issue for testing. I'm good with a name change. I like Delinquent Mutant Sidekick too. Props to V for Psychic Assault. It's completely borrowed from a write-up he had for Emma Frost, but I think it's super fitting here, and the D20 allows the theme to come through. Honestly, the two powers you have capture the character well and are pretty wordy, so I'd just stick with a 2-power card here (though it's hard for me not to push for a Psychic Shotgun SA ). I agree with a name change for Rebel Mutant Sidekick though. I could see some number tweaks to Psychic Assault as we go, but overall I really like the design. So happy we finally have Quentin being added to the game! Yeah, that was a hard cut, but it just felt like it would be too much. I added normal range to cover that though, so I can at least imagine it! Mental Shield is a bit of a bummer to leave off just for the sake of immunities, but if a two power card is popular, I won't argue. There's a lot going on with those two powers. For the first power, the use of "that Mutant" seems a bit off. I'm clear on what you're referring to, but it feels imprecise - or at least uses language that doesn't seem like anything we've used previously. I don't have a better option off hand and it's not a deal-breaker for me, but it seems worth considering. Roll 1 unblockable attack die against the chosen figure. You may use the chosen effects in any order. Destructible Objects, Androids, and Constructs are not affected by Telepathic Assault. Mental Shield is simple enough that we could fit it in, but it's not super iconic for him. I liked the protection aura Psionic Shield has, but we can probably find a more fitting spot for it. "that Mutant" is standard Sidekick power language. Not sure why it would be a problem here. I did realize that an "any other" should be added to the first sentence. I borrowed most of the wording from Jason Todd, but he bonds with Vigilantes without being one, where this shouldn't trigger on Quentin's turn. After the breathing period, I'll update with suggested wording changes. I'm not a big fan of making the wound an unblockable attack die though. It's already relying on a D20 and it's limited to a single wound, so I really don't think it's a balance issue. He's already swingy enough that I'd like to avoid making him swingier. After thinking on it more, I believe more Telepaths don't have Mental Shield than do have it at this point, so I'm good with leaving it off. Ah, good to know it has precedent. "The chosen figure receives one automatic wound." "The chosen figure receives one wound." It looks like we've been inconsistent with how we've worded this type of thing in the past, unfortunately (and not surprisingly). I think that keeping the "unblockable" language to instances in which a die is rolled is a good way to avoid confusion, though. Good point. I like the latter suggestion.